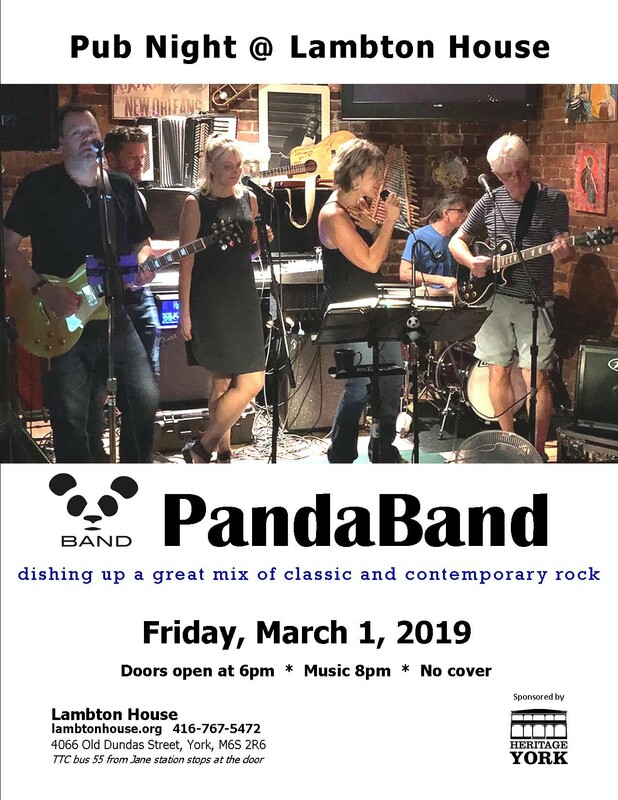 Enjoy the live music of The PandaBand who play a happy mix of classic rock, folk and pop tunes. While listening to some great music in historic Lambton House, guests can also feast on roast beef sandwiches and a variety of beers and wines. With no cover charge, it is a great way to spend a Friday night with friends and neighbours. Doors open at 6:00 and music begins at 8:00pm. The Simcoe Seminars are presented by the Queen’s York Rangers Regimental Council. 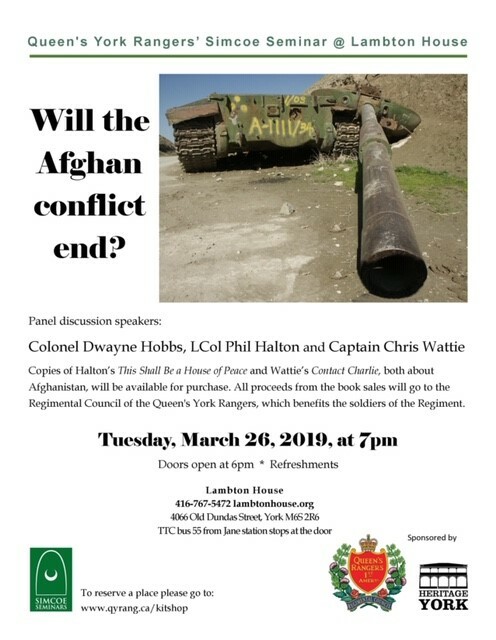 “Will the Afghan conflict end?” panel speakers about the Afghan insurgency are: Colonel Dwayne Hobbs, LCol Phil Halton and Captain Chris Wattie. Copies of Halton’s “This Shall Be a House of Peace” and Wattie’s “Contact Charley,” both about Afghanistan, will be available for purchase. All proceeds from book sales go to the Regimental Council of the Queen’s Rangers, which benefits the soldiers of the Regiment. Doors open at 6:00pm. The Seminar begins at 7:00pm. Refreshments. Freewill giving appreciated.